The kaleidoscopic hill station of Chaukori is one such place where the dreamers can turn their imaginations into reality. 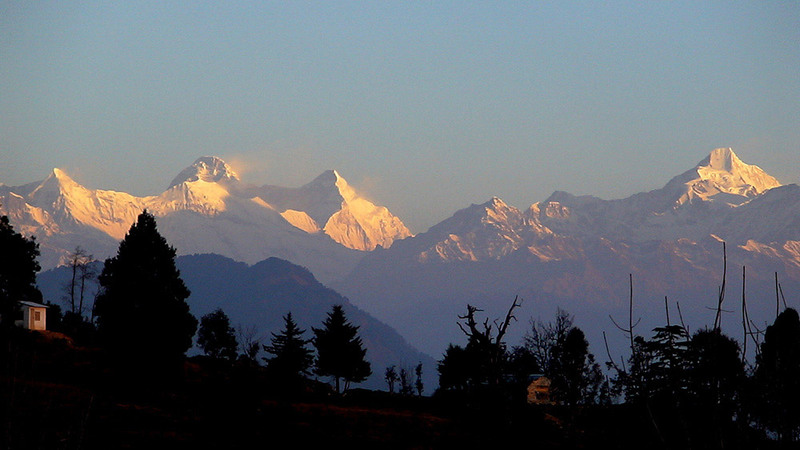 Besieged by the imperial Himalayas and the thick woodlands, Chaukori offers a spectacular view of the gorgeous Nanda Devi, Nanda Kot, and the Panchachuli peaks. This dreamy village is tucked at an elevation of 2,010 metres above sea level. Chaukori, as the name suggests, is tiny hamlet shaped like a bowl that is enveloped within the heart of the Himalayas. This idyllic village is bestowed with nature’s grandeur. One can see the glistening fruit orchards, diverse flora-fauna, dense forests of pine, oaks, and rhododendrons outlining the town of Chaukori. The most beautiful dawn and dusk can be seen from this place. Even the nights are pleasant as one can see the galaxy opening its heart for us, to steal a miraculous view of it. There are several Hindu shrines located near Chaukori some of which are Dhaulinag, Kalinag, Feninag, Bashukinag, Pinglenag, Harinag Temples, Mostamanu temple, Ghunsera Devi Temple, Kedar temple, Nakuleshwar Temple, Kamaksha Temple, Kapileshwar Mahadev cave temple, Jayanti Temple Dhwaj and Arjuneshwar Shiva temple. Apart from this Berinag and Dharamghar are some of the nearby attractions that can be easily accessed from this place. Chaukori is among the few places of Kumaon, where you can find the luscious green gardens spreading the aroma of the fresh green tea leaves. These tea gardens were established by the British during the pre-independence period. Breathe in the salubrious mountain air, listen the chirping of birds and watch the crimson sun rays kissing snow laden Himalayas and you will forget going back from this place. Nature Walks: The natural beauty that encompasses the vicinity of Chaukori is quite mesmerizing with undulating hills, lush green forests and verdant pastures. One can easily pick up a nature trail and explore the in and around Chaukori. Photography: Chaukori offers awe-inspiring view of the Trishul, Chaukhamba, Nanda Devi, Nanda Kot and Panchachuli peaks and one cannot resist capturing the majestic snow covered peak with their camera. Village Tourism: Chaukori is one of the hidden jewel of Uttarakhand and, due to less tourist activity, has remained unspoilt though the years. If anyone interested in knowing about the culture, customs and the way of life, Chaukori and its nearby villages offer perfect opportunities to experience the rustic yet peaceful life in the hills. If you are looking for a lot of sightseeing options with monuments or specific points, then Chaukori is not the place to be. 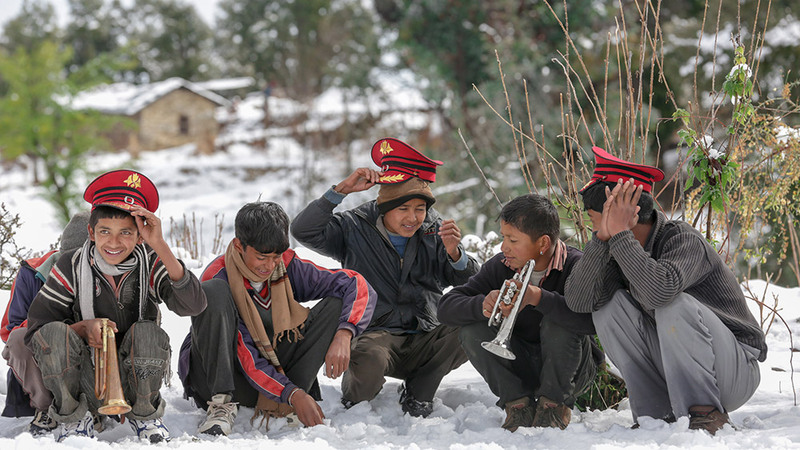 A quaint and secluded hill station in the Pithoragarh district of Uttarakhand, Chaukori doesn’t offer variety of accommodation options as the hill station is not as popular as Nainital, Mussoorie or Almora. Only a handful of guesthouses setup by locals is available at Chaukori with limited amenities and facilities. A KMVN government guesthouse is also available at Chaukori. Finding a restaurant that serves variety of cuisines and delicacies would be asking too much at Chaukori. At best, one can find roadside food stalls and local restaurants serving North Indian cuisine and popular Chinese items like noodles, momos. Apart from that these food joints may serve authentic Pahadi cuisines like Gahat Dal, Sisunak Saag, Kappa, and Chainsoo to name a few. Chaukori is adorned on the lofty peaks of the western Himalayan range, falling in the beauteous Kumaon divison of Uttarakhand. To its north is the Tibet and to its south is the Terai region. The gushing Mahakali River running along its eastern boundary forms the Indo-Nepal International border. What is Chaukori famous for? Chaukori is famous among tourist as Hill Station and Peaceful Location. Chaukori is recommended destination for Couples, Family and Kids, Foreigners, Solo. Chaukori is popular destination for following activities/ interests - Emerging Destinations, Hill Station, Leisure. Travelling to Chaukori in 2019? Contact us for planning your Chaukori tour with best travel packages of as per your requirements!